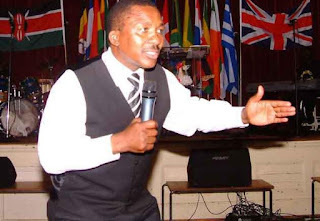 A few days ago, controversial city pastor, James Maina Ng’ang’a of Neno Evangelism Church, is alleged to have killed a motorist along Limuru-Nairobi road after his Range-Rover collided with an on-coming vehicle as he was driving to Nairobi from Naivasha. During the time of the accident, the the pastor is said to have been drunk and he was driving on the wrong side of the road. And as a new probe into the incident continues, it has now emerged that some unused condoms were were discovered from the scene of the accident which according to the witnesses he "threw something out of the window" before fleeing from the scene. Pastor Ng’ang’a has been previously accused by his former wife of regularly visiting city brothels and the wife is said to have filed for a divorce over the same. After a new report by the panel set up by the inspector general suggesting that the pastor might have driven the car, Kenyans have started a new hashtag on twitter to ask the police to prosecute the guy.